On the projects screen, you can print quotes with the print button. 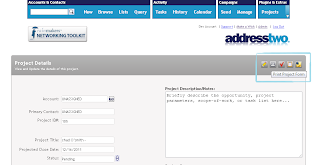 This will show the available quotes in the list. You can customize the quotes by downloading the .rtf, make the update and upload the file. First, click the (customize) link and download the file under "Download Templates:"
The custom templates are listed first and the Default Template is available at the bottom of the list. Then update the text and add images to the rtf file as needed. 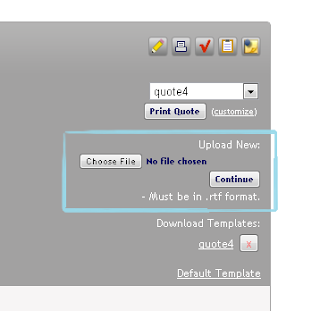 Save the rtf file with a new name and upload under the "upload New:" section. This makes the file available in the "Print Quote" list.